Moderation. I'm familiar with the concept, of course. But there are occasions when it just doesn't sit well. The last time I left North Carolina, for instance, I drove off with nine cases of Cheerwine stowed in the trunk. Nine. I don't believe that, until that day, I'd bought nine cases of anything ever for myself at one go. But while living near Chapel Hill I had picked up the habit of downing two or three of the cherry-flavored sodas each day. It's a distinctly North Carolina soda and just wasn't available where I was headed. That was going to be a hard habit to shake. As far as I knew, the stash in my trunk was going to have to last for months, maybe as much as a year if I...ugh...if I practiced a little moderation. 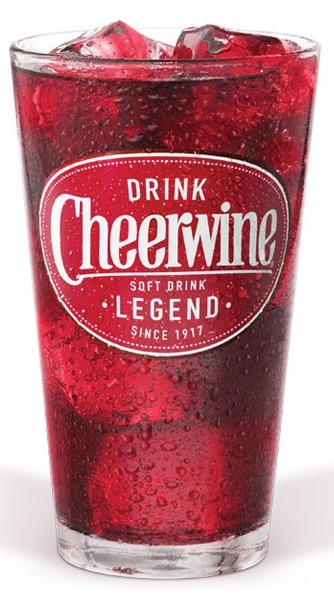 I'm not alone in my obsession; Tar Heel natives have doted on Cheerwine since 1917 and in a recent slideshow on fifty iconic Southern food brands, Garden & Gun magazine led with the red stuff. Recipes abound for using it in cakes, as a braising liquid for hams, in barbecue sauces, ice cream, and, increasingly, cocktails. The batch I hauled away is long gone, but fortunately I no longer have to make a 2,500 mile trek to get what may well be my favorite soda. Here in Southern California, BevMo carries single bottles. The cost is a little more than I used to pay...but overall, it's cheaper than the interstate microimporting I used to do. To help find a source close to you, the soda company offers a zip code finder here and will ship it. Kegworks ships as well. I never got around to braising a ham with the stuff or using it in a brine, but I admit that now that I have a source for it, it might be time for another case. 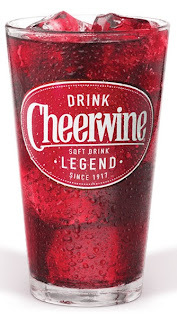 Caveat: I haven't seen anyone selling Cheerwine in plastic bottles online, but stick with glass bottles and cans. In North Carolina — and, admittedly, this was years ago, so things may have changed — the plastic bottles I bought often held flat soda, even when freshly opened. This was never a problem with cans and glass bottles.